Monday-Friday 9:00 a.m. until 5:00 p.m. 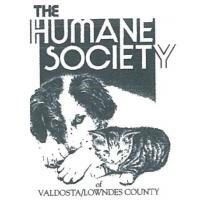 The main objectives of The Humane Society are to improve the lives of animals in Lowndes County and surrounding areas and to put an end to the pet overpopulation problem. Our motto: “We Speak for Those Who Can Not Speak for Themselves,” expresses a strong desire to help animals by giving them a voice through education, outreach, and advocacy. Although often confused with the animal shelter, The Humane Society is not affiliated with Lowndes County Animal Services. The Humane Society and Lowndes County Animal Shelter are two separate entities with different policies and procedures. The Humane Society does not receive any funding from the national Humane Society. Funding is raised through memberships, donations, fundraisers, corporate donations and grants.